Quick to make - Not many carbs - Tastes nice. Mix all together and spoon onto a hot(ish) buttered frying pan. Flip (carefully) after a few minutes, then serve after a few more minutes. 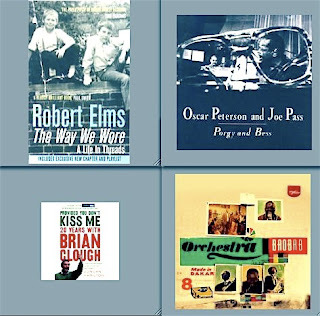 I can thoroughly recommend The Way We Wore by Robert Elms. It's an account of the writer's infatuation with the clothes, music and style of his youth. He's younger than me but near enough to to spark a memory of wearing Italian shoes and smoking French fags down the Coffee-Bar. Odd that the book cover is crap . . . . .
On the other hand, a good record cover usually has well designed music. And I don't have to fret about my feminine side to appreciate the show music from Porgy & Bess - its by Oscar Peterson and Joe Pass - so that's all right. Nothing to do with fags, Providing You Don't Kiss Me by Duncan Hamilton is a biography about the infamous football manager, Brian Clough. I used to follow his teams, especially Nottingham Forest just because he was so outrageous. Sometimes he was a nice man - but not always. I've extended my World Music collection with Made in Dakar by Orchestra Baobab. Only trouble is it's the . . . . . (counts records) . . . . fifth Orchestra Baobab cd in my collection, I wonder if it would be better to have only one cd (or make a compilation, I suppose). I like Manu Chao in the same way but once you've enjoyed one cd you've enjoyed them all - or am I being insensitive to their subtle musical nuances . . . . .
Obviously have far too much free time. 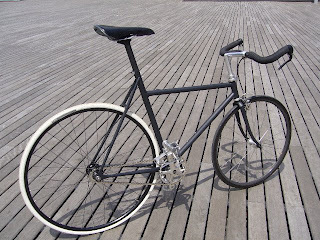 This one is my new singlespeed. I built it from some old bits (and some new). That one is my old "low-pro" triathlon bike. Tom and I have converted it to a fixie. This is a warning to those considering on-line shopping for socks. I recently took up a special offer from Rapha for 3 for the price of 2 pairs of merino wool socks. These are special because the inside ankle area of the right sock is reinforced to withstand dirt and chain abrasion (it says here) as opposed to the left, which is not. Anyway, I received the 3 pairs. My first pair is ok as you see from the pic but the second pair is made up of two lefts and the third pair is two rights - no wonder they were discounted. . . . . . . . 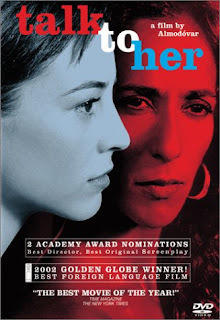 Watched a Pedro Amodóvar film Habla con Ella about two women in a coma (not the same coma - they had one each) which wasn't quite as gruesome as some of Almodóvar's other films. I suppose Volver wasn't that gruesome either, although it was a story about a corpse but Matador was really, really, hide-behind-the-sofa horrific. Read a biography about French Tour de France winner Louison Bobet and enjoyed it so much I bought another book by the same author (actually Louison's brother Jean). You would think watching a film or reading a book in a different language would be a chore but these two books were ok, probably because the subject, cycle racing in the sixties, was so familiar.